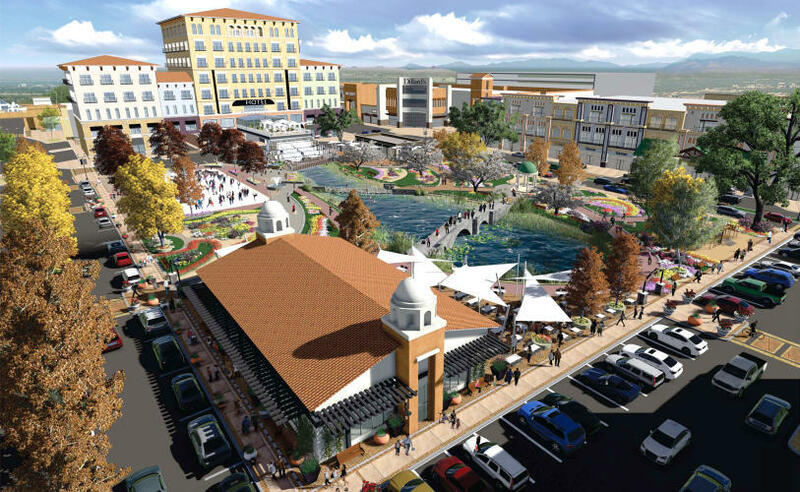 High Mesa Consulting Group (HMCG) is pleased to have been included as a part of the Jaynes Construction team for the redevelopment of the Winrock Mall. 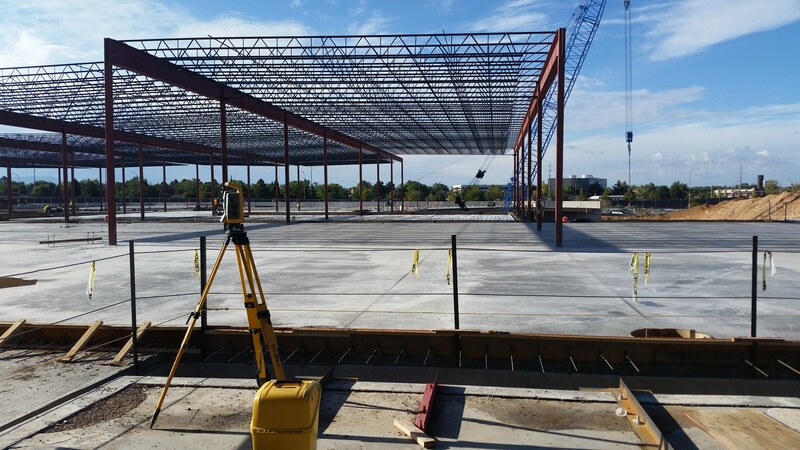 The Winrock Mall redevelopment is a multi-phase project by the Goodman Realty Group to convert an existing 50 year old structure into a revitalized mixed use development. 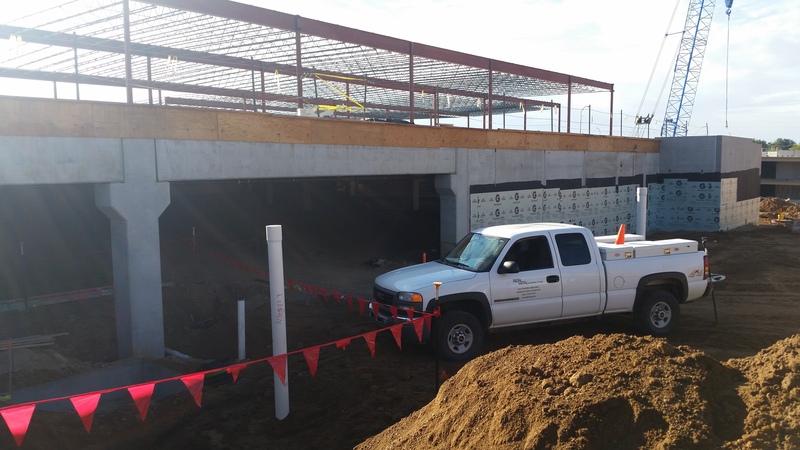 The first phase of construction is a 950 space multi-level parking garage and retail space. 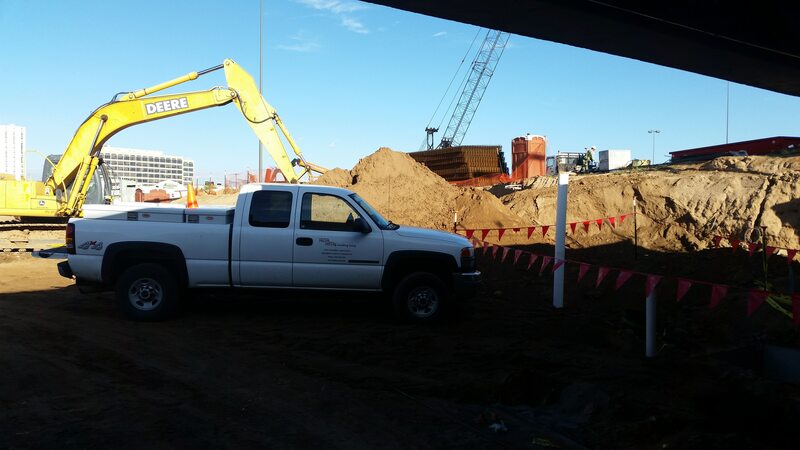 Jaynes has mounted a 2 Webcams to view the construction progress. These cameras can be viewed through the link below. 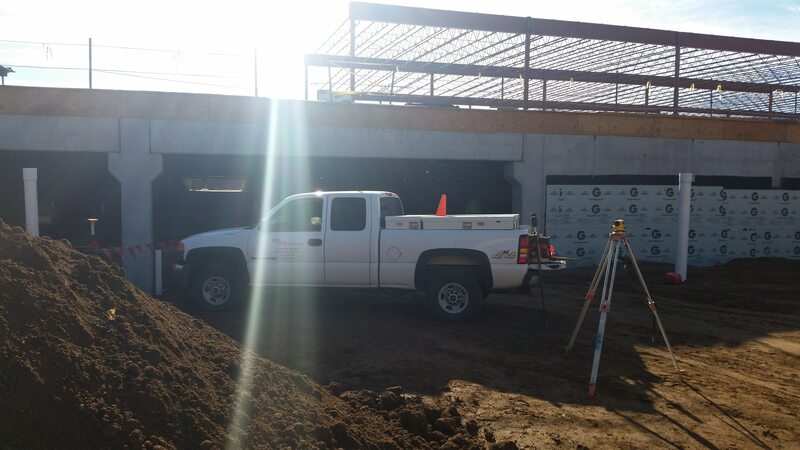 HMCG has provided a wide variety of on-call construction surveying directly for Jaynes on previous projects. 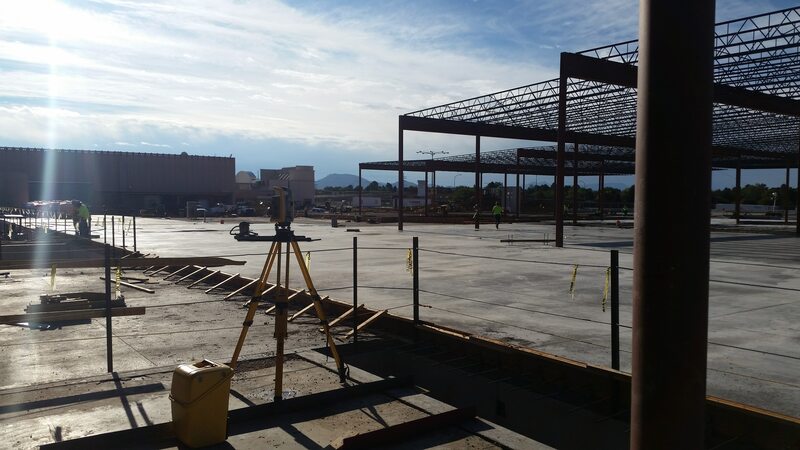 Our most recent project with the team was the construction of the new Sandia Resort and Casino Parking Garage. 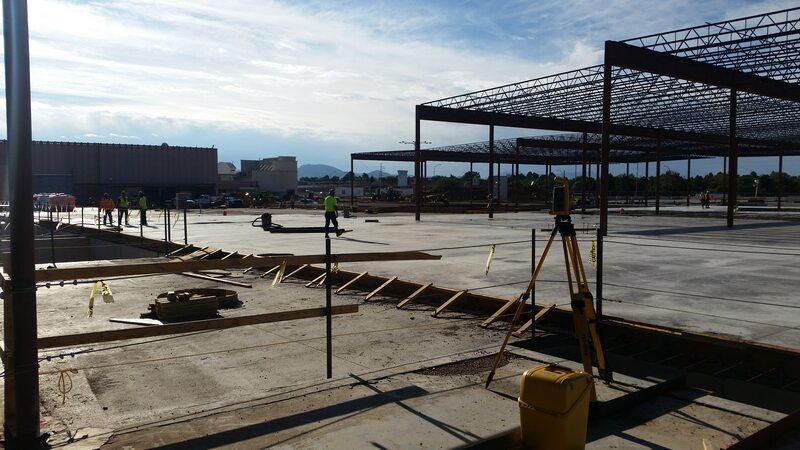 For the Winrock Mall project, High Mesa Consulting Group has performed structural layout of the garage and all construction staking and verification surveys for the mass grading phase of the project. 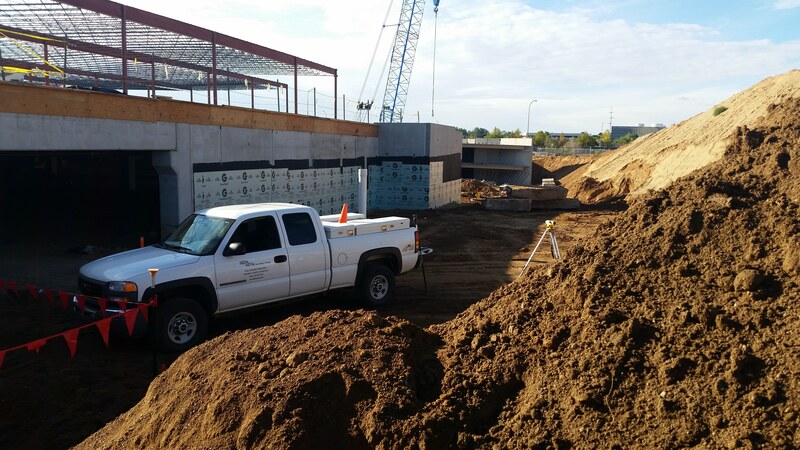 HMCG has also prepared digital earthwork analyses for determining the volume of dirt excavated from the garage for redistribution around the site for future improvements. Through HMCG’s current contract with Jaynes, we have provided boundary and topographic surveys of the site and offsite utility corridors to support public infrastructure and site design. HMCG has also provided as-builts of the newly installed utility infrastructure to be included on future designs. 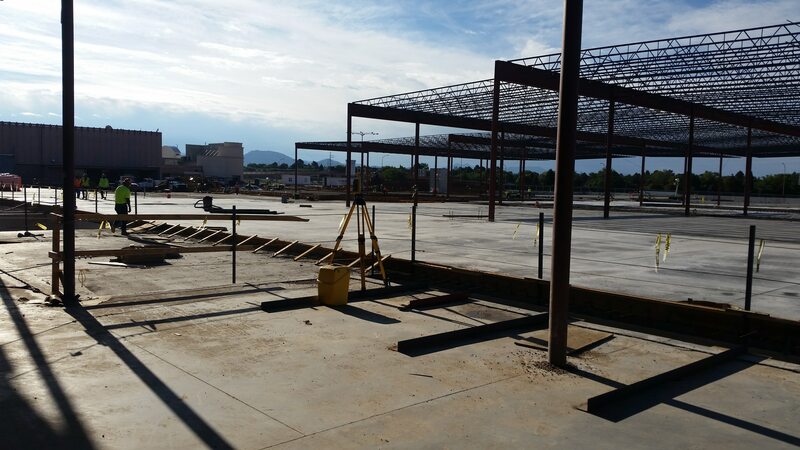 Due to the dynamic nature of the project, HMCG has worked closely with Jaynes to ensure that the most up to date information is available to the construction and design teams on the project.